These original car coloring pages are the best of the web. 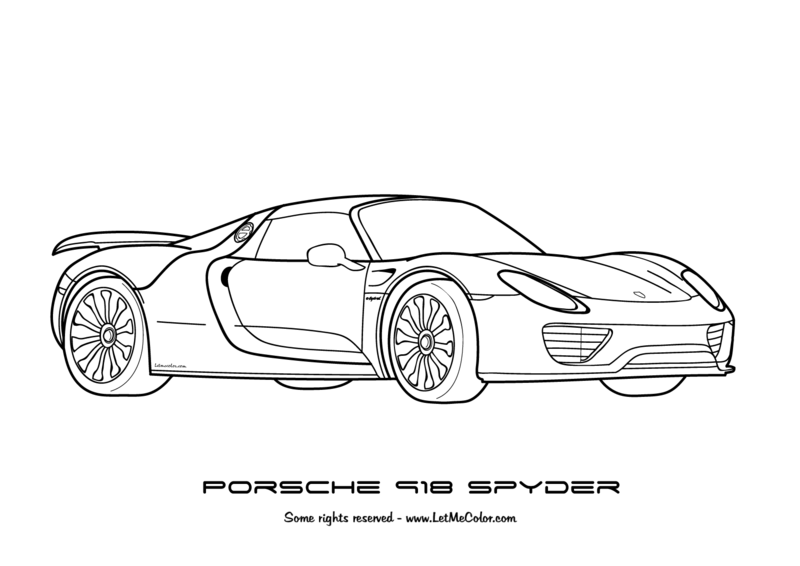 If you are looking for some decent coloring pages of fast cars, this is the place to be. All coloring pages are available in a high resolution image, that assures a high quality print to color in. Just click on one of the images below to go to the original posting. Save and print that image for the best result. These car coloring pages are all drawn by Dutch illustrator Frank De Kleine and published on LetMeColor.com. Visit letmecolor.wordpress.com for all original coloring pages. If you ask me, the Lamborghini Gallardo is one of the prettiest Lamborghini’s around. This particular car coloring page is part of my Lamborghini Coloring Book and is previously unpublished on LetMeColor.com. And if you like this car, you might like this Gallardo as well! Some rights reserved (Creative Commons). This coloring page is created by Frank De Kleine. Original photo by William Hoiles. What an amazing car this is, Porsche’s 918 Spyder is a true work of art. It’s so pretty, I just had make a coloring page of it. Click on the image, download it, print it and give it any color you like. Some rights reserved (Creative Commons). This coloring page is created by Frank De Kleine. Original photo by Axion23. Like LetMeColor.com on Facebook and receive new coloring pages in your timeline! If you like this Bugatti Veyron, try this Bugatti Veyron as well! 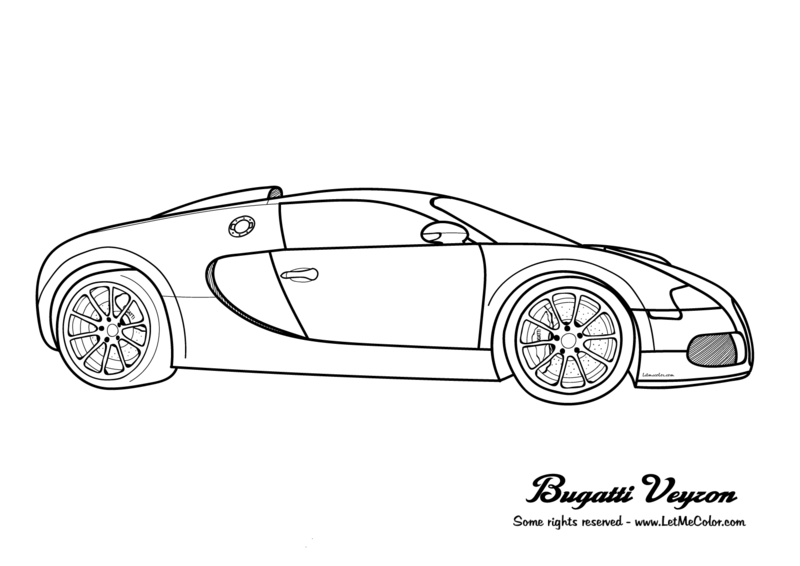 If you’re looking for a special car coloring page, try this Bugatti Veyron! The original version of the Bugatti Veyron had a top speed of 407 km/h (253 mph). It was named Car of the Decade and best car award (2000–2009) by the BBC television programme Top Gear. The current Super Sport version of the Veyron is recognised by Guinness World Records as the fastest street-legal production car in the world, with a top speed of 430.9 km/h (267.7 mph). (Source: Wikipedia). 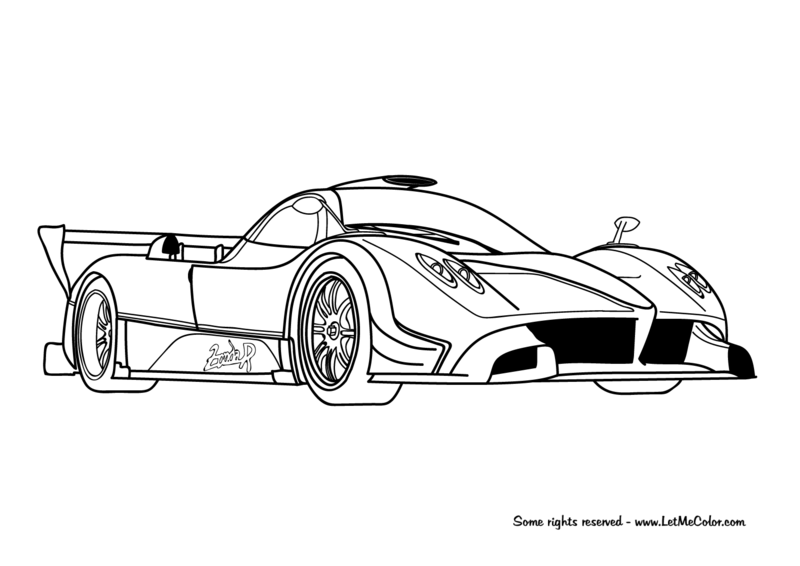 Cars coloring page of the Pagani Zonda R. It holds a record-breaking lap time at the Nürburgring of 6:47.48. So get your crayons fast and start coloring! Only 15 Zonda R were produced (Source: Wikipedia). Some rights reserved (Creative Commons). This coloring page is created by Frank De Kleine. Original photo by me.redbubble. If you like cars, you just have got to love the Ferrari F40. It was designed to celebrate Ferrari’s 40th anniversary and was the last Ferrari automobile personally approved by Enzo Ferrari. At the time (from 1987 to 1992) it was the fastest, most powerful, and most expensive car that Ferrari sold to the public. 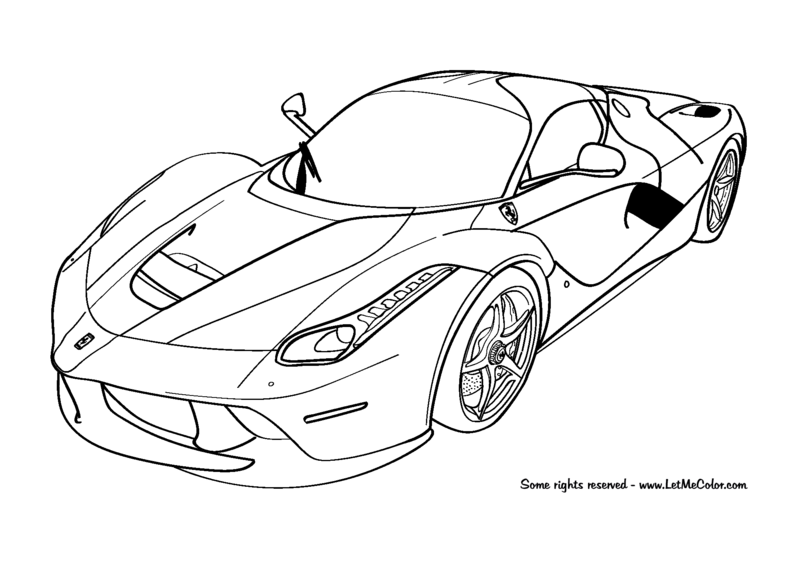 Get all your red crayons out to color this coloring page of the Ferrari LaFerrari! LaFerrari (or F150) is the first mild hybrid from Ferrari, providing the highest power output of any Ferrari whilst decreasing fuel consumption by 40 percent. Easiest way to get the 10 best car coloring pages on the web ever! Do you think most car coloring pages on the web are boring? Well not these ones! 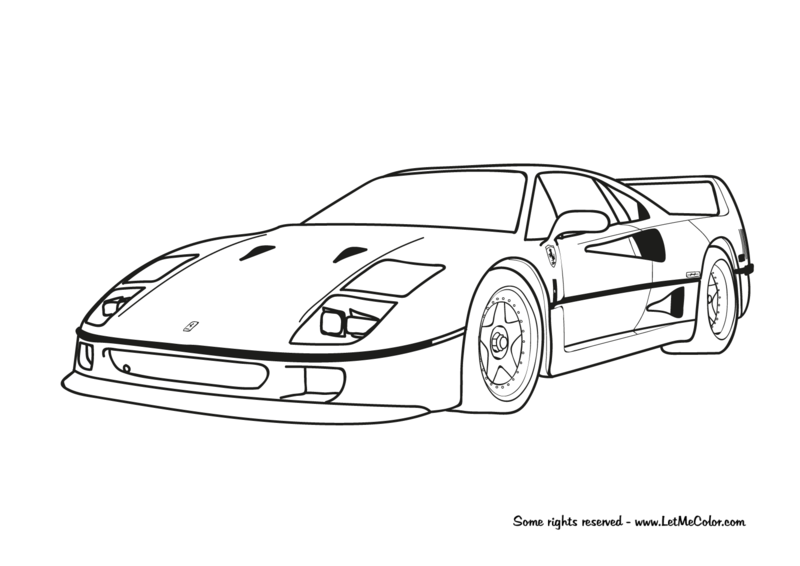 Check out these amazing coloring pages of some of the most spectacular sports cars ever. All available in high resolution, so they will look awesome when you release them from your printer. Don’t take my word for it, just try them out and ask the kids! It’s free! 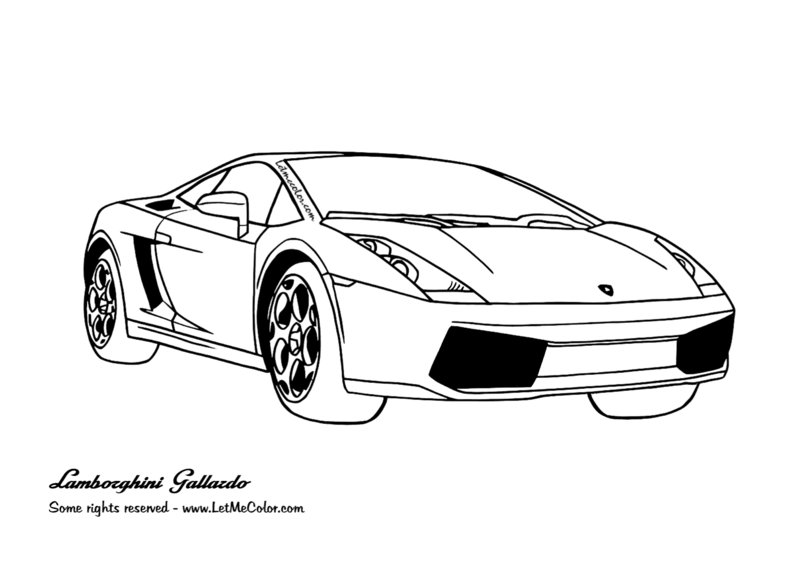 Check out this Lambo from the sixties, the Lamborghini Islero cars coloring page. Free & printable of course! This cars coloring page is part of my Coloring Book (pdf, 1,9 MB) Coloring Cars – Lamborghini, which contains only FREE coloring pages of all the finest Lamborghini sport cars; these are all printable coloring pages. Some rights reserved (Creative Commons). This coloring page is created by Frank De Kleine. Original photo by Moebt. Beware of the so-called Rambo Lambo: the Lamborghini LM002. Check out this free and printable Lamborghini LM002 coloring page. This cars coloring page is part of my Lamborghini Coloring Book (pdf, 1,9 MB), which contains only FREE coloring pages of all the finest Lamborghini sport cars; these are all printable coloring pages. Some rights reserved (Creative Commons). This coloring page is created by Frank De Kleine. Original photo by Pat Hawks.